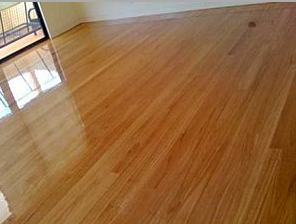 ​At Floor Pros, we can help you with everything from floor refinishing to floor sanding Gold Coast services. We have years of experience as a Gold Coast flooring contractor and possess the skills in all facets of wood flooring maintenance. As a specialist, we deliver solutions that satisfy your needs and budget. We believe that good customer service is crucial to customer satisfaction. We are devoted to meeting and exceeding your needs. Our philosophy is, “if your floors don’t look good, we don’t look good. Whether you are looking to refinish your floors to make your home more attractive or your existing floors are in need of repairing, we’ve got you covered. Wood floors are a great investment because they organically accentuate the beauty of your living or workspace. Our Gold Coast floor sanders and floor polishers bring unsurpassed craftsmanship and knowledge when it comes to polishing, refinishing, sanding, or repairing. If you are not sure which wooden floor maintenance is needed for your home or business, our floor experts can help you in making the necessary choices. Maintaining wood floors can be an intense process. With us, your wood floor project goes as timely and effortlessly as possible. We offer any of our incredible services at a cheaper price than other Gold Coast floor polishing and floor sanding companies. If you are looking for a dependable and trustworthy business in the area, look no further than us. All our professionals and our entire staff are committed refinishing and maintaining custom wooden floors. Even after years of experience in the industry, our services constantly meet and exceed our customers’ expectations. In fact, most of our customers are referrals, a testament to our stellar reputation and our satisfying results. We would highly appreciate the chance to work with you and in your business or home. Being at the forefront of the timber floor refinishing industry allows us to provide the latest in floor refinishing products and technology. We believe nothing generates warmth and enhancement like wood floors. Timber floors are a timeless solution, and they far outlast any other type of flooring. If your floors are lacking their luster and shine, this is where we come in. Our experts provide floor maintenance, whether it is wood, timber, Jarrah, or vinyl, that is just right for you and that remains true to your property’s design and décor. We are here to help answer any maintenance questions long after your project is finished. We know that timber floors is a huge investment. Therefore, it is our intention to ensure you pick the right services, guaranteeing your floorboards will stand the test of time. Over the years, timber floors have proven to have amazing benefits, like easy maintenance, improving property value, and generating a hypoallergenic and sanitary environment. With our level of workmanship, we guarantee you get the good-looking floors you have envisioned. We promise our skills can get your floor back to when it was brand new. As the chief business for floor sanding and floor polishing in Gold Coast, it’s no wonder that residents constantly call us for all types of floor work. We invite you to experience the richness and coziness of world-class wood floors that have been giving incredible maintenance. Our professionals will help you choose the right finish to create the look and color you desire utilizing custom mixed stains and finishes. Timber flooring is the top choice if you want floors that are low maintenance and resilient. It not only brings aesthetic appeal to any room, but floors have the power to increase your property value. When you work with our Gold Coast floor sanders and polishers, we offer suggestions for flooring maintenance service will work well with your situation, price range, and lifestyle. We would love to earn your business, and we are extremely confident that you will be pleased with the quality flooring services you receive from us. We want to make your experience with me as stress-free and satisfying as possible. We pride ourselves on providing exceptional quality wood flooring services at true, cost-effective costs. You always get straightforward answers, as well as services that will last. 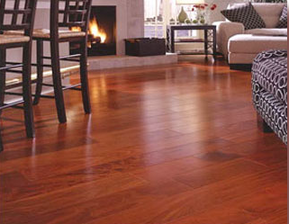 We think that beautiful businesses and homes warrant beautiful wood floors. Our aim is to give classiness in every wood flooring project we undertake. Whenever you contact Floor Pros for flooring services, you will get the best work at the most affordable prices of any flooring company in the area. For years, we have performed floor repair jobs on budget and on schedule. Our flooring technicians will get your sanding, refinishing, polishing, staining, or repairing done correctly the first time, as well as with flair and style. With us, incredible looking and well-maintained floors are a work of art. At your consultation, we give you all the necessary information for you to feel confident understanding what’s involved, the duration of the project, and how to care for your floors after the work is done. Our attitude is that our business is nothing without the support of the community. Therefore, it is our obligation to see that you are given the most incredible flooring services ever. Regardless of what you need, we can enhance the quality and value of your property. Your refurbished flooring will not only be a stunningly crafted work of art but quality craftsmanship that only comes from a company that has formed its reputation from the ground up. We know that healthy flooring reflects a healthy lifestyle. We are a locally owned and operated flooring business and we give residents the biggest selection of services imaginable. Whether the work is easy or complex, we can conquer any job you hire us for. We are a full-service wood flooring contractor and we will work diligently to earn your business. With us, you’re like a family member. After many years in the community, we feel with confidence we can cater to your wood flooring needs. We don’t just meet your specifications, we go beyond them. We have a huge number of loyal customers and referrals because we are reliable, smart, and fun to work with. We believe with our wood and vinyl flooring services your floors will be back on track. Our objective is to provide superior customer friendly floor refinishing and repair services. We are devoted to compatibility and responsiveness with you. Our whole staff wants to create a trusting and honest relationship with you from the time you get in touch with us, during the project, and for years afterward. When your existing vinyl, timber, Jarrah, or wooden flooring needs some gaps filled or recoating, our team is on it. We give your property the best floor refinishing service of any flooring company. Our floor maintenance crew is trustworthy and we customize every project to the uniqueness of the property and the environment. Local lifestyle demands flooring that survives our weather conditions. The beauty of our flooring services, whether we are sanding your floor boards or providing cheap floor sanding, reflects the natural beauty of the Australian culture. When you want elegant and chic flooring, we have topnotch tools, products, and equipment that we use to get the work done quickly. Our experts will give you the shiny glossy floors of your dreams. Trust your flooring maintenance to us. Our highly professional floor experts perform all your services with years of experience and the know-how to make your floors stand out to anyone who sees them. We will work with you to develop a floor service plan that will bring the colors, styles, and textures back to life.